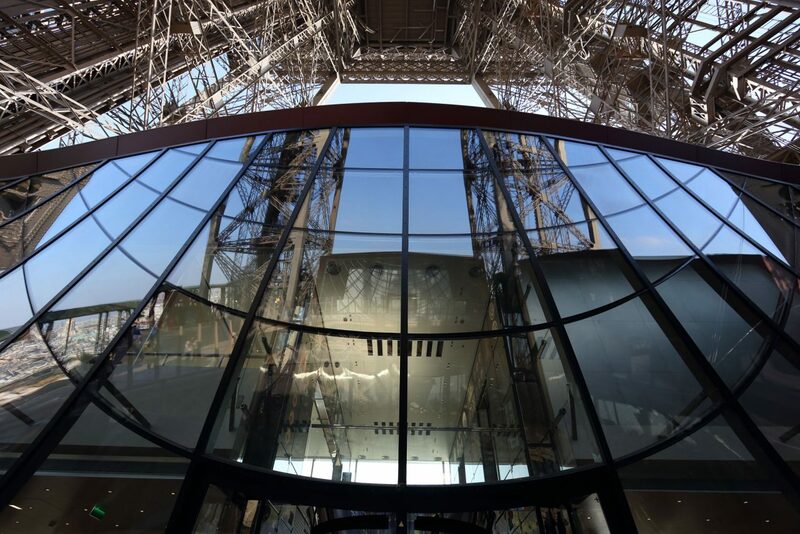 The redesign and modernization of the first floor of the Eiffel Tower has given the public an improved infrastructure as well as visitor pavilions with restaurants and shops compliant with modern energy standards. 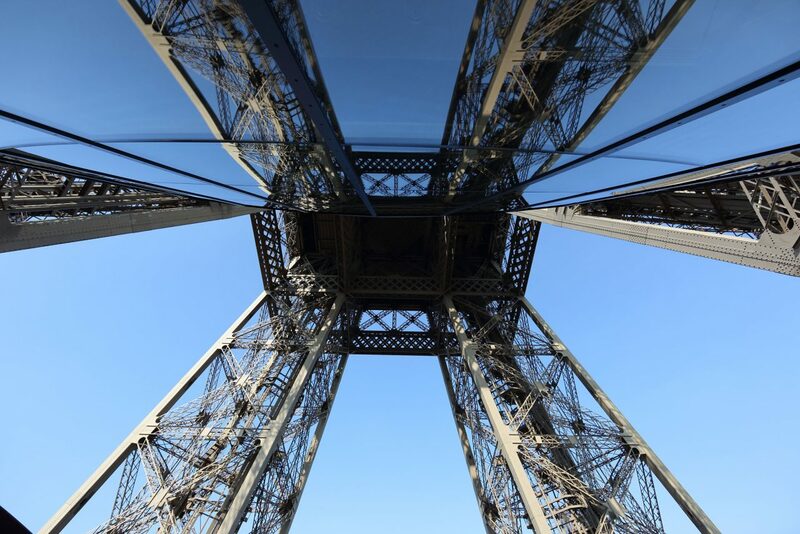 Tilted into two curved surfaces, convex and concave, the visible contours of the glazed pavilions blend in with the geometry of the tower struts designed by Gustav Eiffel. 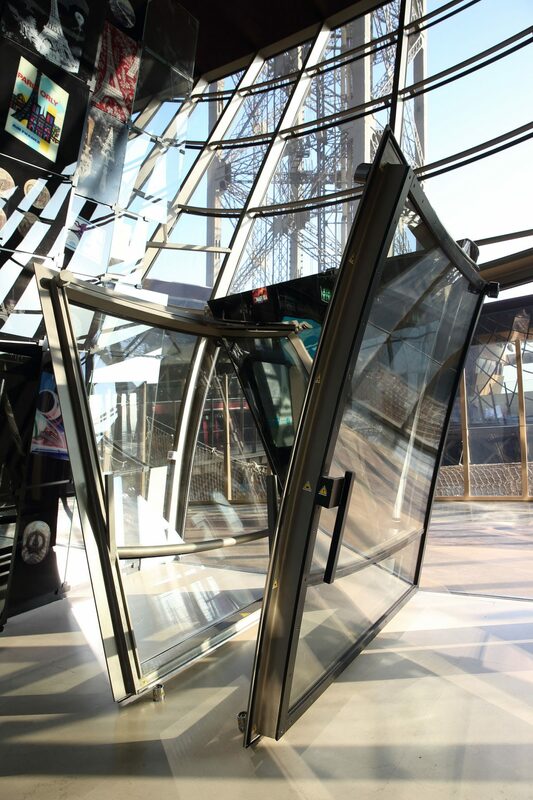 The supporting structure for the glazing is configured as a steel T profile with sharp edges and different bending radii. The curved insulated glazing is secured to the substructure on two sides only. The transparency of the pavilions is emphasized by walk-on see-through glass floors and glass balustrades. 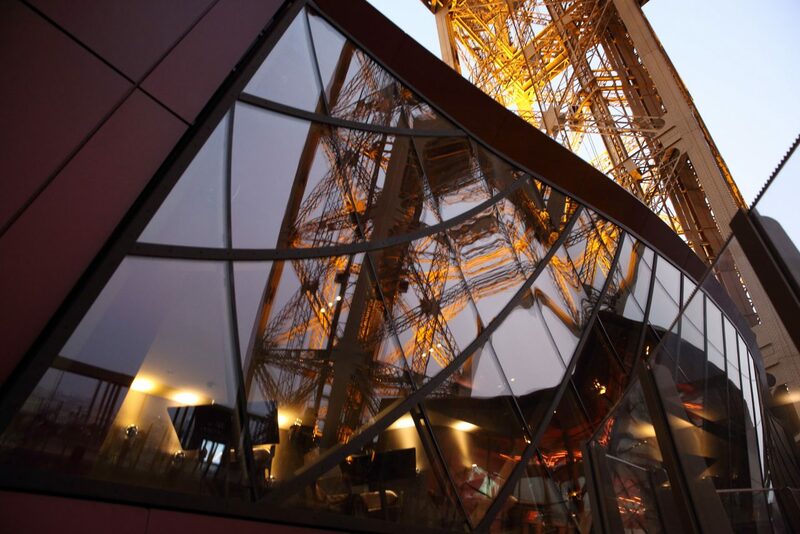 As a result, the visitor terrace is once again one of the most spectacular and attractive venues in Paris. 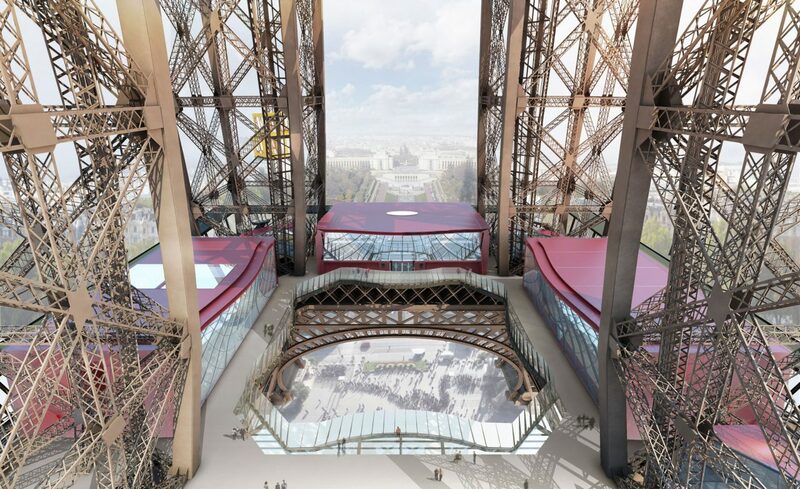 And it rises 187 feet above the city!